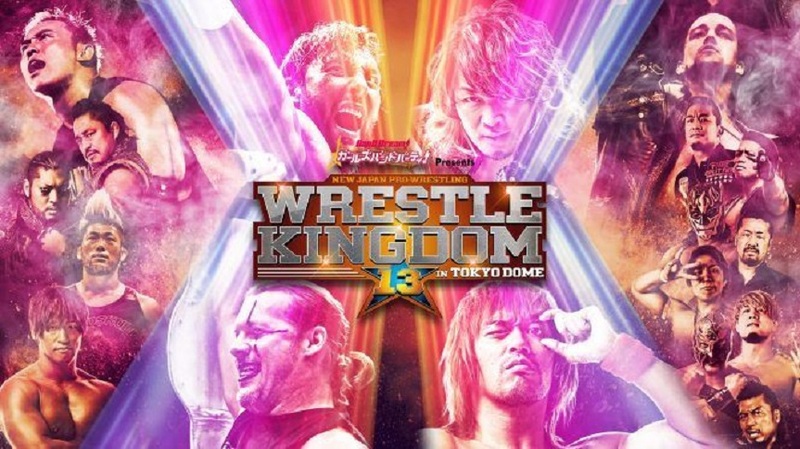 With AEW’s announcements and many of the Elite playing a part in Wrestle Kingdom, what happens? Does Tanahashi retain his Ace status? You know, I’m not gonna start off complaining since European fans basically need to be up at stupid hours in the morning to watch many things live. So if I need to lose a little sleep to watch great wrestling, so be it. What I will complain about, is my own stupidity in not taking the day off of work. So this should be a fun ride! Let’s get this party started! NEVER Openweight Championship: Kota Ibushi (c) vs Will Ospreay – Ospreay wins via Stormbreaker @18:15 – **** – TITLE CHANGE!! IWGP Jr Heavyweight Tag Team Titles: Roppongi 3k vs Shingo Takagi & BUSHI vs Yoshinobu Kanemaru & El Desperado(c) – Takagi wins via Last of the Dragon on SHO @6:50 – ** 1/2 – TITLE CHANGE!! Rev Pro Undisputed British Heavyweight Title: Zack Sabre Jr vs Tomohiro Ishii (c) – Sabre Jr wins via Hurrah! Another Year, Surely This One Will Be Better Than the Last; The Inexorable March of Progress Will Lead Us All to Happiness @11:35 – *** 1/2 – TITLE CHANGE!! IWGP Heavyweight Tag Championships: EVIL & SANADA vs The Young Bucks vs Guerillas of Destiny (c) – SANADA wins via Moonsault on Matt Jackson @10:15 – *** 3/4 – TITLE CHANGE!! 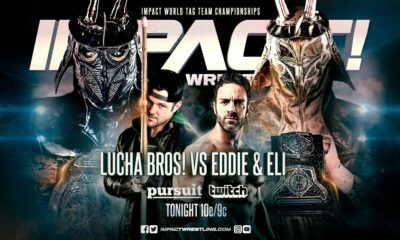 IWGP US Heavyweight Title: Cody (c) vs Juice Robinson – Juice wins via Pulp Friction @9:00 – *** 1/4 –TITLE CHANGE!! 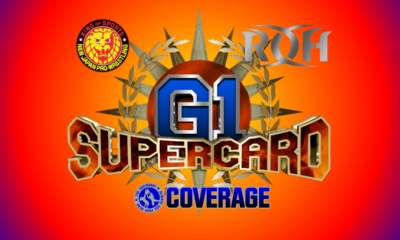 IWGP Jr Heavyweight Title: Kushida (c) vs Taiji Ishimori – Ishimori wins via Bloody Cross @11:15 – **** 1/2 – TITLE CHANGE!! No Disqualification IWGP Intercontinental Championship: Tetsuya Naito vs Chris Jericho (c) – Naito wins via Destino @22:35 – **** 3/4 – TITLE CHANGE!! IWGP Heavyweight Championship: Kenny Omega (c) vs Hiroshi Tanahashi – Tanahashi wins via High Fly Flow @39:15 – ****** – TITLE CHANGE!!!!! Page accidentally hits Chase Owens who tried to interfere on behalf of the group, Yujiro questioned Page, Page pushed Yujiro into the rollup. So this is just furthering the dissolution of The Elite/Bullet Club members. The second match was probably the most solid wrestling, Chuckie T held it together, but a lot of Chaos helped Finlay sneak the win. Nagata and Suzuki faced off, which then turned into Suzuki using a chair on Nagata on the outside. The now 3 match deep team was no match for the brutal Suzuki-Gun in the shortest leg of this gauntlet. The rag tag team against the bad boys was entertaining. Makabe managed to even out the power with Yano and Taguchi’s combined humor adding a different vibe to this match. At one point Yano was asking Taguchi for Baseball signals on what to do next. Even if it’s not a long lasting team, these fun loving tweeners are a good foil against Ishimori & The Guerillas of Destiny for New Year’s Dash. Very solid for a Pre-Show gauntlet. Will and Kota lived up to the hype. Lots of fast paced action, quick strikes, a few high flying moves and an interesting finish. Interesting in regard to the fact that the trainers and the stretcher came out, so Ibushi seems to be knocked out completely. Not sure if this is a path for AEW, Kota being written out of New Japan stories for other reasons…or an actual injury. But one of the match highlights had to be Ibushi tapping into his admiration for Nakamura and landing a Bom-a-Ye after shaking off a suplex. Very good match, the ending just leaves an odd taste. The Suzuki-Gun duo tried to start off cheap, Roppongi 3k took early control, but once the LIJ team got in, Suzuki-Gun were never legally in the match again. As for a match, it was pretty short and the Junior Tag League Finals were better. A double backfired mist spot looked weird cause I don’t think BUSHI’s mist came out right, but hey, the correct team won. Bow down to Shingo Takagi. Sabre wanted to win the match in 60 seconds, that didn’t really go the way he expected but hey, a win is a win. We saw an odd combination of Sabre’s submission style with Ishii’s brutal strikes but Sabre caught Ishii one too many times with different holds. As soon as Kevin Kelly was done saying the name of the move, Ishii eventually verbally submitted. Damn, champions keep dropping like flies. G.o.D. comes out with a new tron, new masks and new music. The music I don’t like as much, but the others are cool. This new good guy G.o.D. gimmick was an early highlight with Tama stopping Loa from cheating, and instead cheering on EVIL to break out of the Scorpion Death Lock, even pushing the bottom rope to him to help him get the break. There was an unwitting Magic Killer with EVIL and a stunned Loa, hitting the move on Tama. But after a small super kick swan song, Matt gets hit with the Magic Killer/Moonsault combo, and LIJ wins another belt! Juice wearing some polka dots to continue the Dusty under current, and Cody comes out in Jacksonville Jaguars colors. Brandi gets involved very early, so that telegraphs her getting thrown out and Cody losing. The toss out spot was awkward and the match felt very “color by numbers” for how Cody has done matches lately. Juice adds an exclamation mark by doing 2 Pulp Frictions, but another title change. This is following the Wrestle Kingdom 11 pattern with titles changes leading up to the semi main event. Let’s see if it continues. Goofy entrance by Kushida with a kid coming out dressed as him and Taguchi playing Doc Brown to make him to correct size. And the match was tremendous. A little bit of everything, Ishimori showcases his prowess as he unseats the Ace of the Junior Division. This is the first must watch of the night. Damn good match. Okada goes back to his classic Rainmaker look including getting rid of those awful pants. This match was a classic Okada match. We saw a bunch of spots that haven’t quite looked right since he lost the belt, White showed a lot arrogance and resiliency. He also maintains the ability to pull off the Blade Runner out of nowhere. 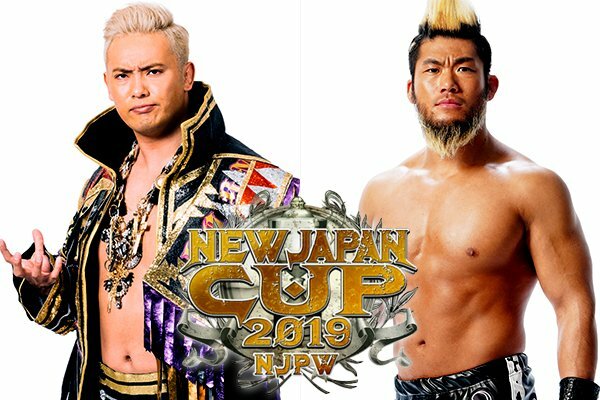 So this match was great, the finish was cool and unexpected, but the biggest take away is Okada might finally be remembering who he is. No more red hair and balloons. Naito started off with more urgency and the match had much better chemistry than their first meeting, and that was still damn good. we saw numerous call backs, big false finishes and near falls. Naito even got to delve into his love of Baseball a little bit with a few kendo stick spots. But still, great match, told a great story and these two work well together. Now does this set up an entire night of title changes, or is this building a false expectation for the surprising Omega retain? WOW! This match is tremendous story telling. Tanahashi pulled off a Styles Clash, Kenny bit Mutoh’s Flashing Elbow, Tanahashi’s Slingblade and High Fly Flow, as well as, wiping out Milano on the Japanese commentary. So Omega had a war against the Japanese legends, and Tanahashi even tried to play Omega’s game a little by using the table Omega introduced. Tanahashi crashed through the table, but still, many little threads were played with here. Amazing way to start the new year. 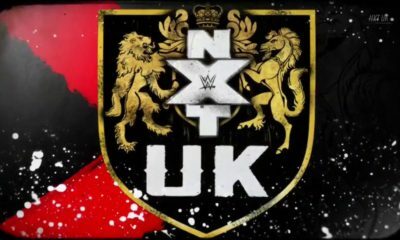 Well this show was built like previous Wrestle Kingdoms prior to 12, with an undercard that built towards the main events. The last four matches were great and well worth watching the entire show. 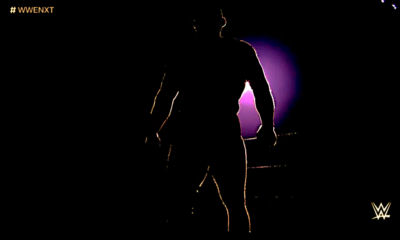 Every match having a title change I believe is unprecedented, but definitely added a level of “new beginnings” into the new year and new royal family. Everyone associated with The Elite also lost their matches, so I don’t know if that means they are cutting ties or just that New Japan wanted the titles on full time wrestlers. But hey, Tanahashi claims the IWGP Heavyweight for the 8th time, which is the most in history. Yes he already had the most at 7, since the man in second place is Tatsumi Fujinami with 6, but this just further cements Tanahashi’s legacy as the Ace. 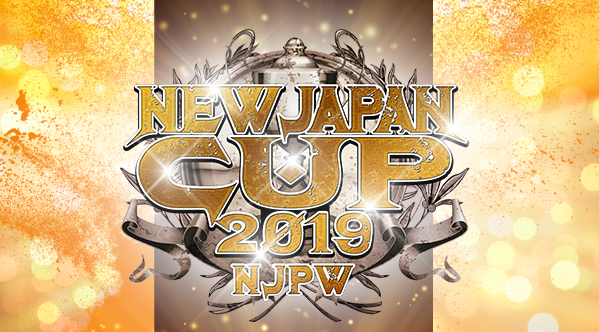 It wasn’t a start to finish banger like last year, but the big matches felt gigantic, Jay White was made, Okada is back, Tanahashi is still the Ace and Naito overcame his Jericho demon. Los Ingobernables de Japon all belts! Tanquilo! Assenayo!